One of the best ways to learn how to grow your business and increase your product sales is to hear what other sellers are doing and how Scott can help them specifically push through to the next level. On this episode of The Amazing Seller, Scott gives a coaching call recap of a conversation he had with one of this TAS students. 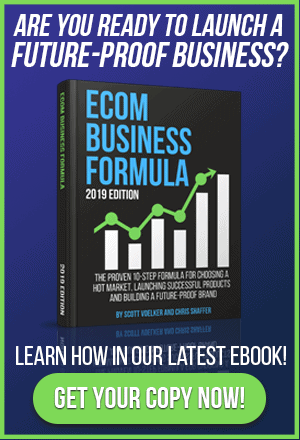 He covers everything from sizing up the competition, how to rank higher for keyword searches, why you need a launch list strategy, how to increase sales velocity and so much more! This is an episode PACKED with lessons and insight that you can use in your business today – don’t miss it! A key piece in building a successful brand with products that perform at a top rate on Amazon is knowing your competition. It’s not enough to know OF your competition, you’ve got to KNOW your competition inside and out, that’s the best way to optimize your product listing and keep your competitive edge. On this episode of The Amazing Seller, Scott walks through what it takes to stay one step ahead of the competition. If you are ready to put in the work and follow Scott’s advice, then listen to this episode! Do you know how to get a better ranking? Say your product listing on Amazon shows up at the bottom of the first page for search results, do you know how to get it to move higher in the ranking? It’s not as complicated as you might think. If you’d like to see your ranking improve, you need to generate more sales for your product listing! If your product listing is optimized and your keyword is listed directly in the title and you are getting sales, you will rank for that keyword. But if you want to move up the list you’ve got to increase your sales volume. To hear Scott explain how to increase your sales volume, make sure to listen to this episode of The Amazing Seller! Don’t Neglect Your Email List Strategy! If you don’t have a strategy for a launch list for your brand at this point, what are you waiting for? 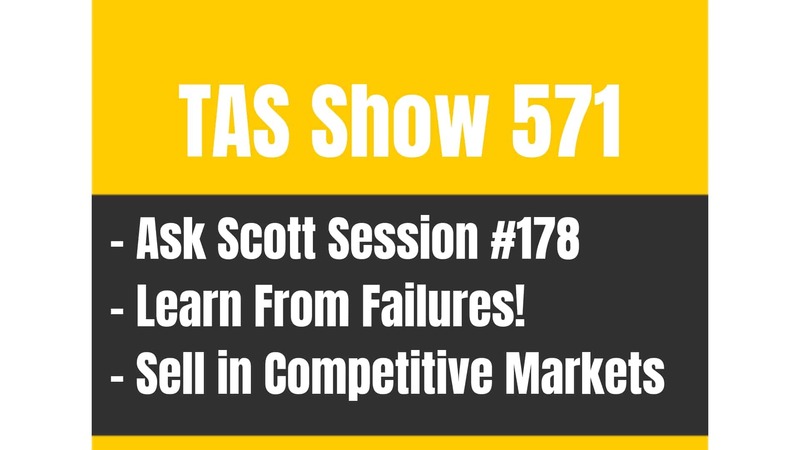 If you’ve been around the TAS community for very long you KNOW that this is a topic that Scott is passionate about and he wants sellers like you to take full advantage of this essential strategy. By having a launch list or building an email list for your brand down the line, you will uniquely position your brand in the marketplace. If you want to find out more benefits of having an email list, make sure to listen to Scott break it all down on this episode of The Amazing Seller. Also, don’t forget to check out the TAS resource that helps you get started with building a list located at the end of this post, in the resources section! One of the most vital aspects of getting momentum with selling your product on Amazon is racking up sales. What if there was a simple step you could take today to increase your sales velocity? On this episode of The Amazing Seller, Scott shares the KEY lesson he learned that can help your sales take off. Scott says that one of the best ways to see increased sales right away is to lower your price or offer it at a deep discount for a limited time. Scott has seen this plan work when a listing has been optimized and just needs that extra push to get the ball rolling with greater momentum. If you’d like to hear Scott go into further detail with this topic, make sure to catch this episode! [3:00] Scott sets the stage for a coaching call. [5:30] Is it wise to raise your price as your stock dwindles? [14:00] How to get a better ranking. [16:00] Build a launch list! [18:00] Evaluating your PPC strategy. [24:00] How to get Sales Velocity. …a conversation that I just had with one of my students, we just had a coaching call and the reason why I want to share this right now is because it’s fresh in my mind and I really think that you guys can benefit from this. Now her issue was she launched, things were going rather well. She ran out of stock, she went back in stock and then the sales had kind of dropped. The she also tried to do her pay-per-click over again and she wanted to know about those numbers and are they good, what should I do next? Where should I be in this process right now as far as re-launching because my sales are not what they were when I ran out of stock? That’s really what we’re going to be digging into and I want to share with you the play by play like the action steps that I gave her. This way here if you’re facing this or if you ever do you’ll at least hear what I have to say but also give you some things to think about because a lot of times people will come to me and they’ll ask me questions whether they email them or if it’s on a Facebook Live or whatever and they’ll give me like this question but there’s a lot more details that need to be answered or questions that need to be answered. That’s really what I did here. It’s funny because she sent me an email with bullet points of what she wanted to cover so I had a heads up. I literally made bullet points back as to what I wanted to ask her so I could get more information and I’m going to share that with you. Now if you guys want the show notes, the transcripts to this episode probably you’re going to want to do this one because again like I said, I’m going to walk through exactly what we talked about and really explaining where she is and where she’s going to be or her time spent moving forward the best way possible. That is theamazingseller.com/363. So theamazingseller.com/363. That’s the show notes and the transcripts. [00:01:59] Scott: Now, little quick reminder before we jump into today’s episode is we are doing a workshop tomorrow night, depending on when you’re listening to this. If you’re listening to this on Wednesday then it will be on the following day, on Thursday. If you’re listening to it after the fact, well just go to this page anyway and see when the next upcoming workshop is. This is going to be the last live one that we do for a while. We are going to be taking a little bit of a break but if you head over to theamazingseller.com/workshop, you can register for an upcoming workshop there or the recent one that we are going to be doing. If you’re brand new or if you maybe just want to see the road map or the five phases that we use to launch a product or pick a product, source a product and all that stuff, you’re definitely going to want to attend that live workshop. Definitely go check that out. All right, let’s dig in here. I want to get right into this. Her questions to me were this, and I’m going to read the email now that she sent me before we actually got on Skype and went through all of these different things that’s happening inside of her product and in her listing and stuff. She says, “I launched in January with an auto-campaign for two weeks. I took that data and created a broad phrase and a golden nugget campaign as you instructed.” It’s a good idea. “I also left the auto campaign running spending up to $60 a day for all three.” Moving on she says, “All three were doing really well for about a month. All under 50% ACOS,” which is good especially for just starting out. “I started running low on inventory so I made an order and jacked up the price to not get as many sales.” We’re going to come back to that in a minute guys. You might not want to do that. I’m going to explain why. The next thing she says is, “I also stopped my campaigns and started doing a broad campaign because I listen to your podcast more and listen to that one webinar that you guys did recently.” Really what she’s talking about there is about how to use the broad to discover and then from there move them into other types of campaigns but we’ll talk a little further through this because she’s switched things up here as we move through. [00:04:02] Scott: Then she says, “Next thing is I decided to use Ignite.” Now if you guys don’t recall the workshop and all the training we did around pay-per-click or sponsored product ads you probably want to check that out, it will make more sense. That can be found at theamazingseller.com/ppc. It’s funny because she started using Ignite from scratch in a sense because she wanted to start from scratch and she didn’t think her numbers were all that great and then after we went through it they are actually really good. I’ll let you guys know about that here in a second. But then she says, “I started from scratch so to speak on what you instructed on the webinar but in the last month I had been breaking even on the ads. I’m disappointed because I wish I can go back to doing what I was doing a month or two ago and I can’t seem to replicate that at all. Right now I’m only spending up to $20 a day. At best my ACOS is 65%. I want to get it back down under 50% or less. What I would like is a specific action step plan from you exactly knowing what to do going forward and I will totally take action even if that means it’s time to get outside traffic, I will now go looking for a second product until this is all squared away with the first.” The very first thing that I want to stress here is and that pointed out to me is I want to go back to where she said she started running out of stock and she jacked her price. Now, I’m not opposed to raising the price a little bit if you want to slow them down a little bit but not so much to where you’re going to slow them down till they’re crawling because here’s the thing. You’re going to be going out of stock with that conversion rate. So if your conversion rate is really good and then you raise your price and you start to slow down your sales you’re going to also show Amazon that the product isn’t converting that well. People really might not want it as much. Then when you go back in stock it’s going to basically pick up where you left off and now you’re going to ramp things back up again to try to get yourself back up to where you were. [00:05:58] Scott: I’m not really a fan of raising your price or jacking your price as she said. If you wanted to slowly increase it, I don’t know that I’m totally opposed to that but I would prefer probably just to go out on fire. Just go out and just run out of inventory, I know it stinks, it’s not good but I would rather go out and then have Amazon say, “Okay they ran out with a really high conversion rate.” When they come back in stock they’re going to remember that you had people that wanted your product. Then from there that’s going to help you because now you’ll rank quicker and all of that good stuff. I would not jack the price. It’s going to lower your conversion. Definitely, definitely would not recommend doing that. She said, “That was my bad. I get it.” Now, she knows and she won’t do that again. That doesn’t mean that she won’t get back to where she was. We definitely found some things that could be an issue here. The very first thing, these are the questions that I asked her, that I actually asked… That I wrote down into my bullet points that I was going to ask her. The very first thing that I said was, and I asked her was, “How many people right now, how many listings are competing right now with that same type of product?” She said, “There’s quite a few but really on the first page it’s not that competitive but there’s quite a few.” I looked and there was 435 results for this particular keyword. Not that terrible for this one keyword. The keyword is her main keyword. It’s like garlic press. It’s like that one main keyword. That’s fine, the competition is fine. The next thing I asked her, how many sales are they getting per month? How many sales is your competition getting a month because we have to gauge this. You may be thinking that you did really good a month and a half ago but what you didn’t go is your competition was too and then now it’s a slower time of the year or that the trend is starting to decline or maybe it’s seasonal. Who knows? What we have to do is we have to compare. We have to say, what are the sellers doing right now today so I know at least where I can get to if I get in that spot? [00:08:04] Scott: That’s the first thing that you have to ask yourself. Even if you didn’t run out of stock and you’re wondering how do I get to a spot to where I’m going to get my ten sales a day or whatever sales that you want? You have to look at the competition and use that as a gauge and say if I can get there there’s a good chance I can get those sales but you also have to have a comparable product, you have to also have comparable copy meaning your listing as far as your title and your bullets and all of that stuff, the same kind of benefits, like there are some other variables that come in there but if we at least get there then we can say okay, we are not getting the same amount of sales so now what’s broken with the listing? Now we have to reverse engineer and look at the listing. We can just keep going down into those things. We don’t have to do that. Her listing looked pretty good, images looked great, the copy looked good so that wasn’t an issue for me. The one thing that did stand out to me though is she was more expensive that almost everyone. The other thing is and this was her first product. She’s actually selling a product that is under $20 which I’ve got a few products that are $20 and it’s fine but you gotta understand, you got less room because you don’t have as much margin depending on how much you’re paying for and all of that stuff. Because of that other people are selling the same product for $7, $8, $9 and she’s selling it for $13, $14 or $15. Now all of a sudden why is someone going to buy your versus theirs? Now she is still selling some so it clearly shows that people will pay the extra money but that is a conversion aspect. That is something that might make a huge difference but we won’t know that until we get on first page and we can be side by side with those other sellers. We won’t know that. The next thing that I wanted to look at is where is your competition that’s getting 300 sales a month and more? [00:10:01] Scott: It was really within the top eight. The top eight listings were getting between 300 sales and 1,000 sales per month. Most of them between 300 and 500 I would say. Clearly if we get into top eight there is a good chance that we can grab some of those sales. They were spread out pretty evenly. That’s number one. We look at that we go, “Okay, that’s good.” Now we ask the next question, where are you ranked? Now at first she didn’t even know where she was ranked. She was like, “I don’t even know. Honestly I was just looking at the pay-per-click stuff.” I go, “Here’s the deal. You’re looking at pay-per-click like you want that to be your generator of sales. We can’t necessarily bank on that and we don’t want to back on that.” Our pay-per-click to me is 20% to 25% at best. [00:12:00] Scott: Moving on, we basically figured out what the top eight or ten different sellers are doing right now and we said they’re selling between 300 and a 1,000. The next thing we asked was where are you ranked? At first we didn’t know so then I went ahead and I typed in her main keyword and it’s funny I just jumped to page two, three and I’m like, “Oh my gosh I can’t find you.” We didn’t know she was on the bottom of page one. She’s at number 15 on page one for the main keyword. This is exciting in itself because that means that yes we are not getting the sales that we want so what do we have to do. We got to get more sales so we can increase the rank, so we can move up the ladder. There’s something in the marketing world and direct response marketing world is really is you want to be above the fold. What that basically means is when someone lands on a page, when someone loads a website page, any page, not just at Amazon, we want to be able to not have to scroll and see whatever we want to see. If there is a call to action to be made, we want to be on that page before we have to scroll. Same thing applies here on Amazon. If you’re within the top five to eight somewhere in that range depending on your screen resolution and all that stuff, generally that’s going to be on the top part of the page and that’s where we want to be. [00:14:01] Scott: Again, we’re just too far down on the page. We got to get you up the page. Well, let me ask you this, do you know how to get better rank? Ask yourself that question. If you do, say in the car, say in the run, say wherever you are. Say yes, this is how. Well, I’m going to tell you how. You get more sales. If your listing is optimized which here’s is, her keyword is directly in the title the best spot it can be. If you get sales you’re going to rank for that keyword. Even if you didn’t get sales through that exact keyword it’s going to help you rank because your listing is optimized. It’s already telling Amazon what it is. The review thing, not a problem so we get that out of the way. I X that out of the way. Now, do you see how I’m asking these questions? As she gave me her first problem. Her first problem was, “Scott, I ran out of inventory. I’m not getting the sales that I want to get.” We went through this whole process in basically 30 minutes. I did a 30 minute coaching call with her and we went through all this stuff just as I’m going through it right now with you guys because I want you guys to see that you have to go through and ask these types of questions to figure out where you can move the needle and where you can improve. So just I want you guys to understand that. The next thing I asked her was, “Do you have a launch list?” She said, “No, I don’t have one yet.” I said okay, because what would I say if she didn’t have one? We got to get sales through that launch list. Let’s run a promotion. Let’s do a promotion to get sales. Again, if we look at the top eight and we say that they are selling between 300 and 1,000 and honestly we looked at like the top like positions like three through five, they are selling between 300 and 500. That means that we got to get between like ten to 15 sales a day and we can get ourselves bumped in that spot. If we get 20 that’s going to be even better. Our goal in the next week or two has to be to get sales. This way here we can move up in the ranks. That could be through a promotion, that could be through more pay-per-click, that could be through lowering your price. [00:16:01] Scott: The next thing I asked her was, “Okay you don’t have a launch list, we’re going to have to work on that. Have you reached out to other list owners, other people, other influencers in maybe Facebook or Instagram or YouTube?” And she said not yet. I said, okay, well we got to do that next. Then she said, “Well, how do I collect those emails.” Then I directed her over inside of the class because there’s training in there because she hasn’t gotten there yet but basically this is the way it works because she asked me, “How do I deliver the code and how do I direct people to my listing? Do I send it to my website, I don’t have a website yet, how do I do this?” I said, it’s very simple. You create a landing page in any software that you want, doesn’t matter, or a website. We have a plugin that we used called Give away Boost for giveaways but you can just give a click funnels page. You can just use Lead Pages, you can use any service that you want but it needs to be a landing page with… A landing page for anyone that doesn’t know what that means it’s basically just a page that you land on and the only option is to give your first name and your email address in exchange for that code. Then once they enter the name and email address they click submit and then the next page is going to be the thank you page. That thank you page would be a code that would give the 50% off discount and then from there it would gave them the link to the listing. That simple. We don’t send them directly to the listing until they give us that because then they are more qualified and we just don’t drive traffic there because that will also a lower our conversion if it doesn’t convert. Again, we talk all about that on our build list workshop which you can find at theamazingseller.com/buildlist. You can see exactly how we are building our own launch list which that was my other task for her was to build that launch list. That’s everything we covered there. A lot. We went through all of that stuff but we figured out that there’s definitely an opportunity for her to improve her ranking, there’s room for improvement for her to be able to potentially get sales just from maybe running maybe more pay-per-click. [00:18:04] Scott: Now, let’s talk about pay-per-click really quickly. She said when she first started she was breaking even on the ads and it was great. She’s like awesome but the thing is she didn’t realize that by doing that that’s also going to help rank organically. It’s amazing that she’s ranking organically already her having, I think she’s having like right now as she got back in stock like maybe two to five sales a day, something like that. That’s fine but we have to increase that. The other thing is with the pay-per-click that she mentioned was that it was working really good and then after she ran out of stock, she got back in stock and it didn’t work as good. So she went ahead and she started from scratch with Ignite. Now if you guys don’t know what Ignite is it’s also a tool that we use to manage our pay-per-click ads or our sponsored product ads now. Then also what it will do is it will give us suggestions and it will also start to separate some of our data. What we do and just to not complicate it because it can get complicated but we did a whole training on it theamazingseller.com/ppc, break it all down. Basically this is what it is. We use a broad keyword, that keyword is really just to go out there and attract search terms. There’s search terms that your customers are actually typing in. Then what happens behind the scenes is once it starts to have some data, some impressions, some clicks and some sales it will make suggestions to then take that keyword, or that search term and either put it in a phrase match campaign or an exact keyword, technically search term campaign. There’s really like three buckets. There’s a broad, there’s a phrase and there’s an exact. Then she went on to tell me, she goes, “Scott I don’t know if it’s doing that well. My broad campaign, I’m following all the suggestions it does,” really to implement all the suggestions you do is click accept. It gives you the suggestions and then you say or no. She’s been running it for three weeks. [00:19:59] Scott: The broad match right now is currently 120% ACOS. Not great because again it’s just collecting data but, this is where it gets interesting, the phrase match after some of that data has come through, some of those sales have come through, it then takes the phrases and then we’ll move it to campaign. That campaign now, she said was just over 25% or 28% ACOS. I might be off a little bit with that number but it’s under 50. That one there I think she’s like converted like five or ten sales already. The broad campaign, the 128% ACOS, the one that looks really bad converted over 20% or 25% but then here it’s where it gets really interesting. The exact match campaign, all this was done in automated through Ignite. That one there has had 30 sales and the ACOS is like under 30. She’s like, “So I don’t even know, are those numbers good.” I’m like, “They are phenomenal. Those are phenomenal. Right now for as early on as you are three weeks in, you gotta let this stuff run,” but it’s definitely doing the job. It’s out there, it’s finding these search terms from the broad which is the keywords and then from there it’s starting to sort them and put them into buckets after they’ve proven themselves. Really, really powerful. She’s going to continue to do really, really well but one tip I gave her which she wasn’t doing is I said, well, how many keywords do you have in that campaign as your broad and she said I have about 20 to maybe 30. I’m like, okay, that’s good but let’s maybe expand on that. So she wasn’t aware that inside of ignite you can actually take your competitors listing, the ASIN and then you can just go in and plug that in and it will go and it will scrape their listing for keywords that are relevant to yours and then it will say all of the keywords and then you can make decision to add the or not to add them. [00:22:02] Scott: It’s totally up to you. She did that and she’s like, “Oh my gosh. I had no idea. You literally have like a keyword scrape tool inside of ignite which is pretty powerful. That was one of her tasks that she was going to start doing because now she’s going to broaden out hence the word broad. She was actually going to expand out that campaign of the broad and then that also gives her more opportunity to find more search terms that then get moved into phrase and then get moved into exact. That’s how it works. That there can just be running in the background. Right now she’s running $20 a day and she asked me if she should bump that up. I said I’d wait until that exact match and the phrase start converting better. It’s doing good but if it gets to like maybe like 20% or something then maybe add another $10 per day and see what happens. That’s what she’s doing, that’s really, really awesome. If you guys, even if you’re not using ignite you have to understand that you want to be able to start looking at the keywords, the search terms that are performing well and then start to put them in their own campaigns. This way here you can drive traffic to just those specific words and search terms. That’s that. I don’t want this to be a whole pay-per-click session because I don’t have enough time but I did that and so did Chris with me and Jeff Cohen from Seller Labs. We did a whole training on that. Again, theamazingseller.com/ppc. Again just to kind of wrap this up, that’s what we talked about. Tons and tons of stuff as you can see but I said to her, this is one thing that I would do right now. Right now I would probably lower my price to $9.99 or maybe $10.99 and the only reason I would do that is because that will also allow me to start getting sales without even having to do a promotion. You gotta remember, I said back in the day to her, I said back in the day eight months ago we used to give away product either at a deep, deep discount for like 75% off or sometimes 90% off and sometimes free just to get sales volume or sales velocity. [00:24:08] Scott: In this case all we are doing is lowering the price a little bit to get that momentum and to get that sales velocity. That was like her first, like that was my first thing for her. I would do that like immediately so this way here you’re already there, you’re already getting the traffic, you’re already getting paid traffic and you’re already on page one. Let’s see what that does. That’s like an easy thing you can do and see what happens. Let’s just cover the action steps that I gave her. Action steps number one was leave Ignite campaign running. Because at first she’s like, “Should I turn it off? I’m not sure if it’s doing that well.” I’m like it’s doing fine. Let it go. Number one leave that ignite campaign running. I would also, this is step number or action step two is add more keywords using the add ASIN feature inside of ignite. I would definitely, definitely do that and she seen already from what I showed her. She was like that’s crazy. That’s really, really awesome. You can expand on your keywords and then really start to broaden out on those. Then action step number three was lower the price for a few days and keep an eye on sales. That would be like the easiest thing to do would be that. Then four is outreach and build a list. Do you email capture like I talked about, all you have to do like I said is create that landing page, create a thank you page. That thank you page will then give them the group code for 50% off. We’ve done that recently and actually I did a podcast episode just a few episodes back where I talk about the results from that and they are just awesome. We’re not giving away product for free, we’re not giving away product for even 75% off. We’re doing 50% off codes and we did that to our list and we were able to get 152 sales in five days and we bumped our BSR and we started ranking for keywords. Actually the last I looked for that particular keyword we were on the bottom of page one, I believe. [00:26:01] Scott: It was bouncing between there and top of page two so we are on the right track. We may have to do another one of those but we haven’t even really started pay-per-click because while we are doing these promotions with our emails list we’re not running pay-per-click because we don’t want people to jump on that page and then see our ad on the right and then click on it and then we get charged for it. So that’s a little tip for you guys too that are doing launches within your own list. If you’re going to do that, you’re going to drive people to a listing, do not have your pay-per-click running because they can just see it somewhere and then click on it and then you’re going to get charged for this. We don’t want to do that. Hopefully this has helped you guys. I love, love, love going back and reversing what’s happening but then also digging into the questions. If you guys ask yourselves these certain questions you’re going to find answers or solutions or things to test. I’m not saying everything that we went over but you can here there’s a lot that we can still play around with. The other thing I didn’t even mention was, because she was like I don’t even want to think about a second product until I can get this figured out. I said well maybe this isn’t the product that’s going to be that big winner. Maybe this is a product that’s going to lead people to that second product because maybe your margins aren’t as good as they are in this one but it’s going to bring the traffic. The she was like, “I didn’t think of that.” That’s another thing that you can do. While these things are running, while these things are being tweaked, while you’re letting them run and collecting the data it might be time to start looking at that second product. She does have a second product that lends itself well to this first product. I said to her, that would be one that you probably want to start at looking at getting it sourced and can you do a small run of that. Then that might be the one that could be the one that has all the margins. Then you have a lead product that comes in because the other cool thing you can do and I told her this as well, is you can run that little promotion inside of your listings. Say if you buy this get 25% off of these other products. [00:28:00] Scott: Then from there people will click on that and then they have the option to buy your other products and they only get the discount if they purchase product number one. It’s a great way to cross promote your own products internally and bring more awareness to those products. Guys that’s pretty much going to wrap up this little recap of our coaching call that I just got off with and I just get fired up for doing these or from doing these and hopefully you guys got value from this. If you run across this and I think the one big thing just to understand is please do not jack your price if you’re running out of inventory. It’s going to make it harder for when you get back in stock. To get ranked again you’ve got to put more effort in than just to go out on fire and just let Amazon pick up where they left off with your listing by you just doing a small little mini promotion or even just turning your pay-per-click back on. Like that’s it. That’s what I would do. All right guys. The transcripts for this episode theamazingseller.com/363. All the show notes that I talked about which there is a ton of resources there for you guys and I’ll give you guys one last quick reminder about our workshop happening tomorrow night depending on when you’re listening to this. That can be found at theamazingseller.com/workshop. Go register for that and if you’re listening to this after that is over and it has ended you can still go there and you’ll get all the information for upcoming workshops. Again theamazingseller.com/workshop. All right guys. That’s it, that’s going to wrap it up. Remember I’m here for you, I believe in you and I am rooting for you but you have to, you have to… Come on say it with me, say it loud, say it proud, “Take action.” Have an awesome, amazing day and I’ll see you right back here on the next episode. 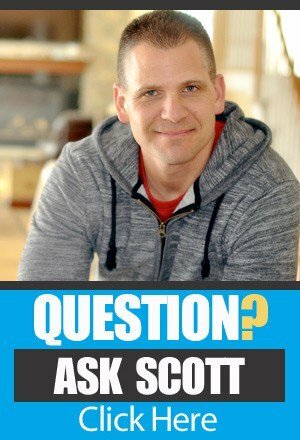 TAS 571: Ask Scott #178 – How Can I Sell Products in Competitive Markets? TAS 066: Can Selling on Amazon Create a Passive Income Stream?